Shock Treatment in Psychiatry: A Manual. 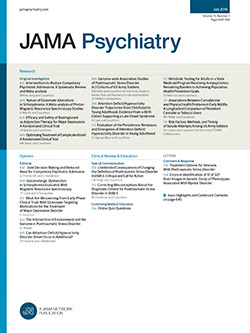 This is a concise and effective statement of the present status of shock treatment in psychiatry of whatever kind—insulin, metrazol, electric; the history, the method, the indications and contraindications, the complications, the physiologic changes involved, the actual results, statistical and individual, and their interpretation are all concisely and conservatively presented. There is an extensive bibliography, which includes many of the important contributions to this material. It is gratifying to the reviewer to see two workers in this field, who obviously have had a great deal of experience, attempting to find out from individual cases the actual progress of therapeutic results. So much of past effort has been based on statistical treatment of results, and while this is absolutely necessary, of course, it is of little help in the evaluation of results in individual cases.